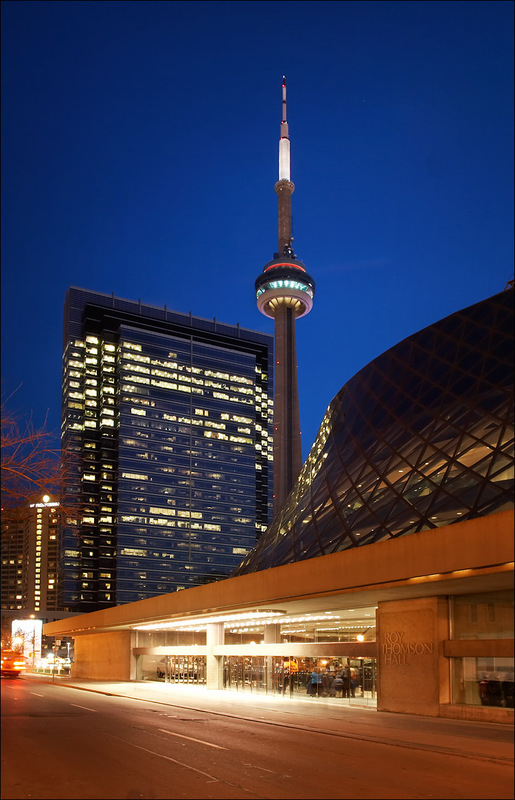 cn tower seen behind toronto's roy thomson hall last night. the free PTLens plugin for photoshop (also available as standalone) is a lifesaver for situations like this to get rid of the barrel distortion caused by almost any lens. thanks for this amazing application Tom. news: I'll be a guest at the tv show Call for Help at TechTV tomorrow talking about photoblogs, at around 3:00pm eastern time. I think it's going to be live so wish me luck, I'm already nervous! update: I just got word from TechTV that the show is not live and will be taped. I will post the airdates when I get them. Thanks a lot for your support.